Wedgwood is a ceramic and luxury accessories company founded in 1759 by Josiah Wedgwood. The World of Wedgwood, (WOW), is a unique visitor experience providing a superb venue for a great day out and an opportunity to explore the tradition, history and diversity of this iconic English brand. After an extensive multi-million pound refurbishment, WOW’s key aim was to drive footfall to the venue and to increase sales through the museum, factory tours, retail outlets, restaurant and tea rooms. S2 was engaged to provide an integrated communications strategy covering insight, strategy and creative execution. WOW wanted to understand the make up of its best existing customers and to find more people just like them. Taking WOWs marketing and operational customer files to create a single customer view, S2 developed individual profiles of WOW’s customers in order to understand who they are, how they behave and how best to communicate with them. Once we had a picture of WOW’s customers by income, age, lifestyle, behaviour, housing, gender, hobbies, spend and ethnicity etc., we then used this customer profile to find new prospects with similar characteristics. The new customer database was then segmented into 5 distinct ‘pen personas’. Onsite market research was also conducted to gain qualitative information about customer’s interests and motivations and to add further value to the data analysis undertaken. Our data analysis software, Map2Stats, provided visual mapping of customers and prospects by spatial spread, catchment analysis and penetration based on persona type from online bookings, onsite purchases, gift packages, tourist site referrals and retail data. New prospect data was then purchased to drive brand awareness and prospect acquisition in the local area. S2 also provided a media strategy covering above and below the line creative, design and digital activity. This strategy was geared to drive brand awareness and exposure in local areas matching the customer profile. 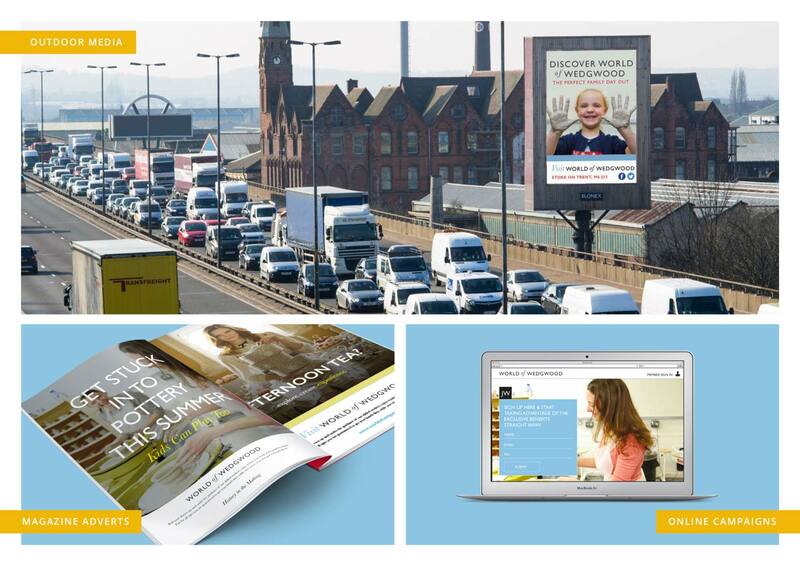 Campaign development and execution included design and creative for outdoor advertising such as the M6 digital tower, Ad Shells across 6 towns and 2 local radio stations. Email broadcasts to customers and prospects based on pen personas were also developed in conjunction with WOWs internal social media campaign to communicate specific facilities and events during the summer. S2 has provided WOW with an in-depth understanding of their customer base and provided prospect data that represents the greatest opportunity for customer acquisition. The development of 5 key personas will be aligned to drive all future marketing activation. Enhancing the data with flags now enables WOW to communicate to each persona group with specific promotions and events, increasing customer engagement and potential sales. WOW has seen a substantial uplift in site visitors, on site spend and brand awareness throughout the summer. Web and social media activity has also increased dramatically; a direct result of a highly targeted and sustained creative campaign. 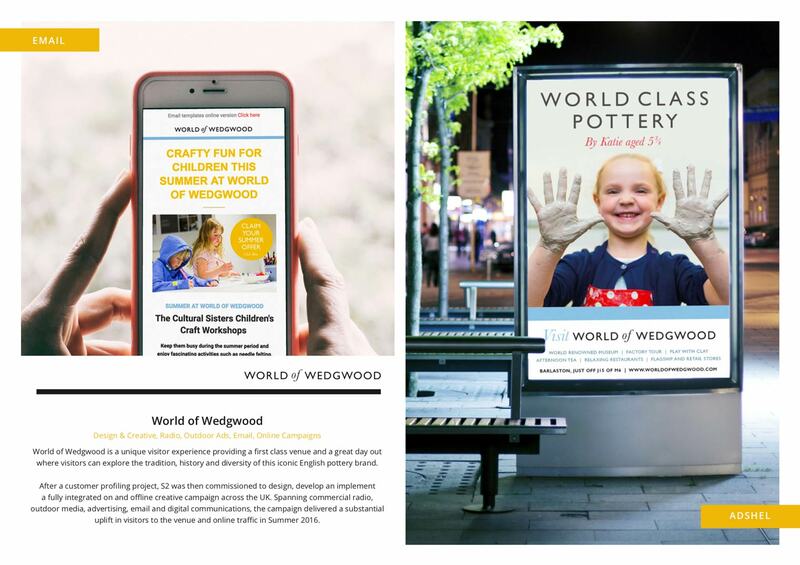 S2 is continuing to work with WOW developing campaigns to drive footfall and sales driven by actionable insight.